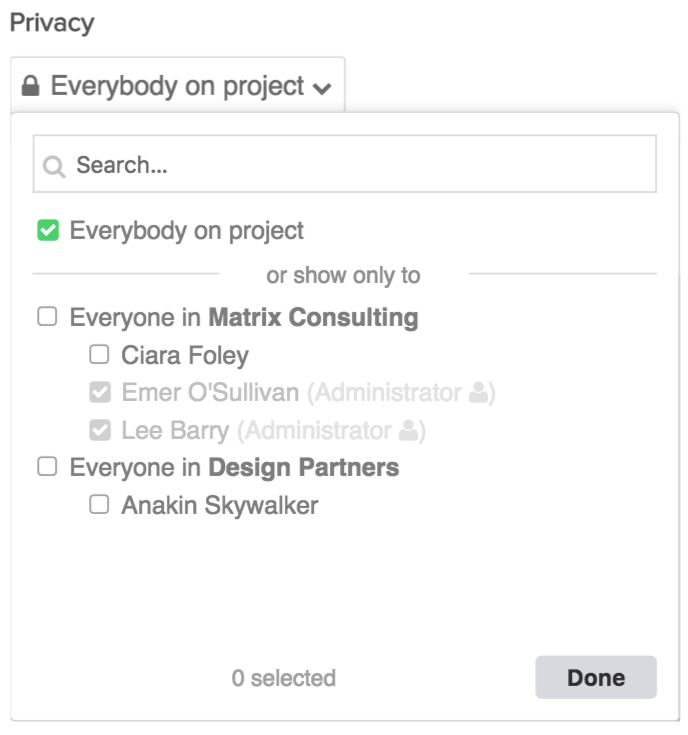 Within Teamwork Projects you can set privacy on any messages added to your project so only certain users can access them. 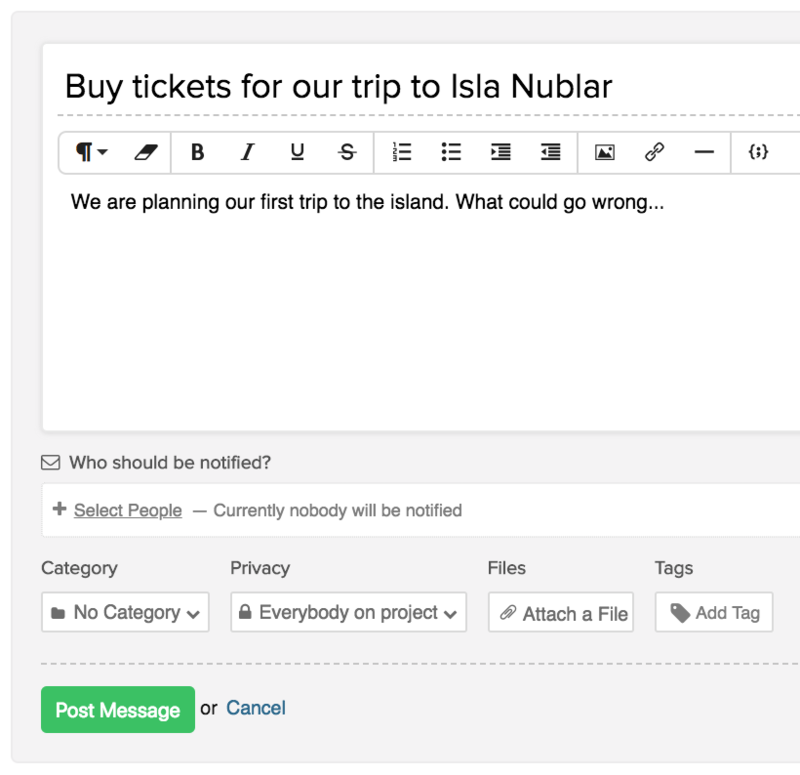 You can set privacy on messages when first adding them to your project, or by editing an existing message. When creating a new message, you can set privacy below the message content. To change the privacy of an existing message, click the Edit pencil to the right. You will then be able to select who to include in the privacy, in the edit details modal. Note: Message replies will inherit the privacy of the original message and cannot be individually edited.